Ken Lum’s light statue, Monument for East Vancouver, is installed at East 6th Avenue and Clark Drive and was part of the Olympic Public Art Program. “I remember the East Van cross for what it was, a ubiquitous symbol of rebelliousness with a shady gang history. 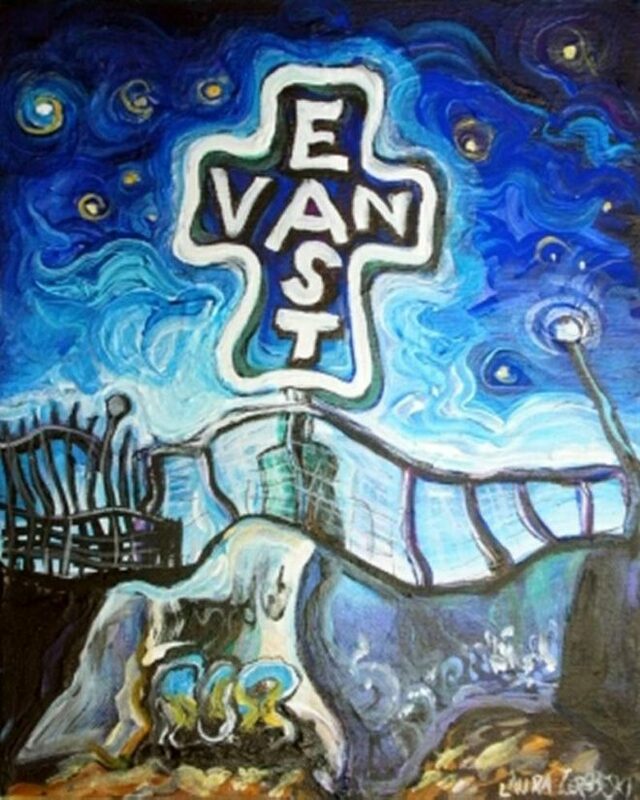 For me, the East Van Cross was a tag we would proudly put up in washroom walls as our way of saying, we are here, don’t forget about us, and don’t mess with us. 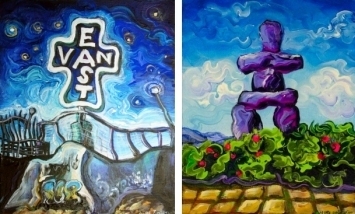 Vancouver used to have a much bigger divide between East and West, working class and rich, immigrant and white, and the East Van Cross was a reminder to us that we can still hold our head up and be proud of where we came from. And also a reminder to the kids on the west side, that if you come to our school to play a game and you make fun of us, or our cheap cars, or our cheap clothes, that we will have no problem with letting our fists talk for us.